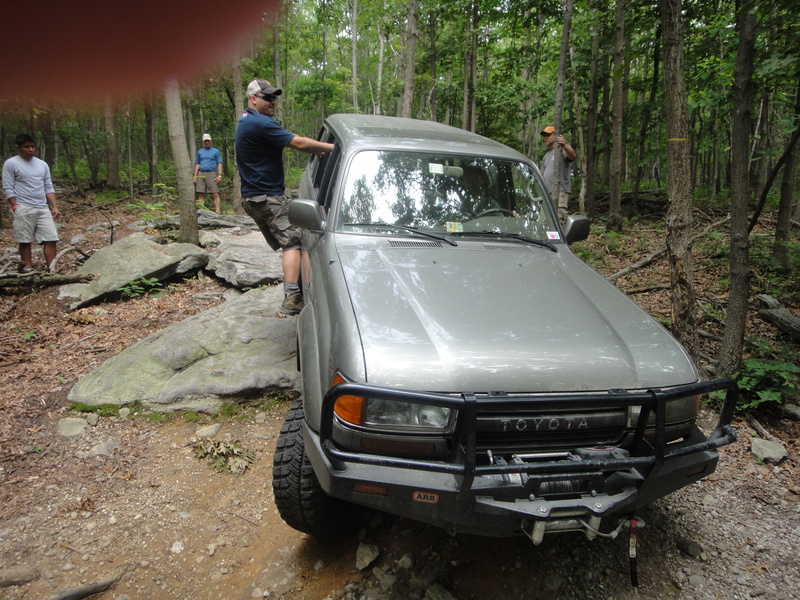 I used Brian’s tow vehicle (he trailers his trail rig) to get the final ingredient, a piece of 1/2 inch pipe, and joined some Virginia guys for some blue (big tires and lift) on the NE section of the park. 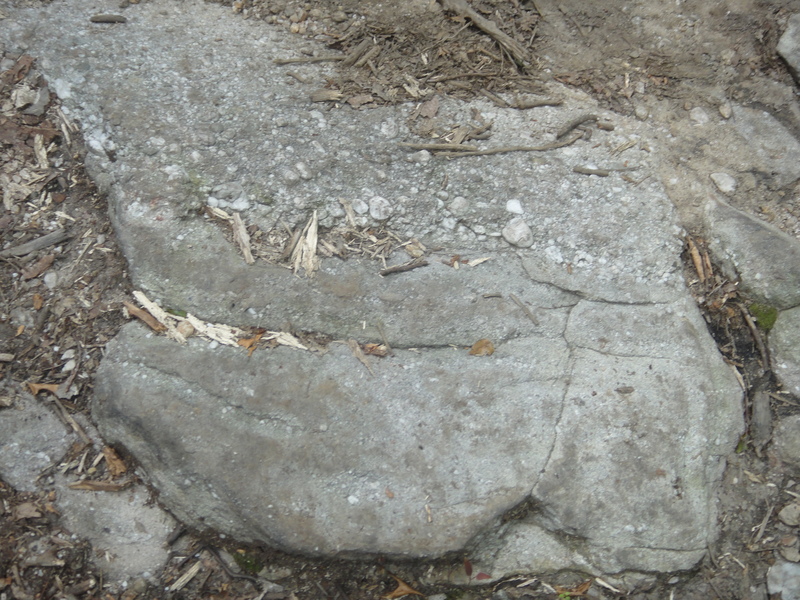 The rocks here (still Pottsville Group) had more shale, which weathers to mud, and less coal but more corn fields. I rode shotgun with Patrick in his 80 series Landcruiser (the big, heavy ones from the early 90s), and saw a well-behaved trail dog, Tiki in action. The good part of riding is that you can get out and take photos of rocks as well as wheeling. 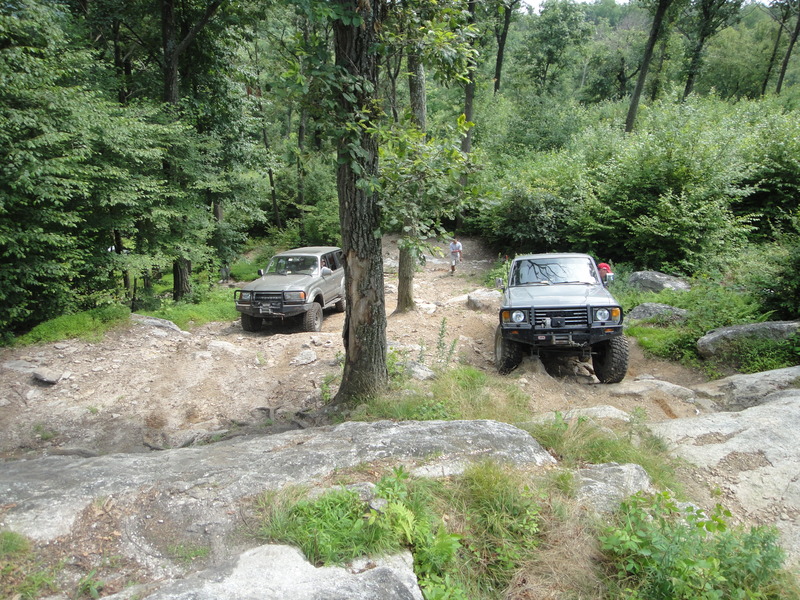 This day had some fun trails with needed assistance from crew to get these big rigs through tight spots. The rocks were quite different as well. This photo shows very large particles (pebbles) in a muddy matrix, which we inferred from several real mud holes on the trails when the mud weathered out to form modern mud holes. 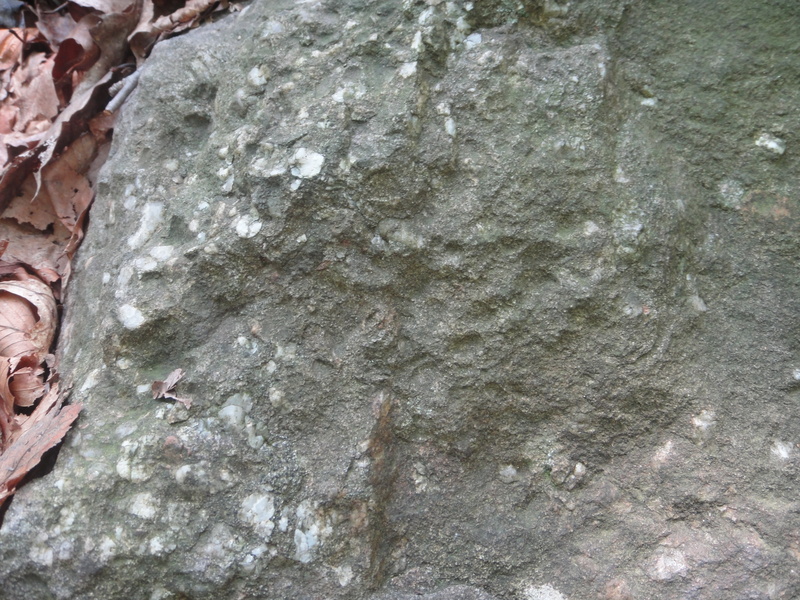 The episodic nature of sedimentation now and 350 mya is seen in this contact between the coarse-grained conglomerate over the silt/mud stone below. I WISH I weren’t broken for these really great rock crawls over the conglomerate as we climbed up a series of broken ledges. Finally, on BFG (don’t ask me what that means) there was no easy way out! 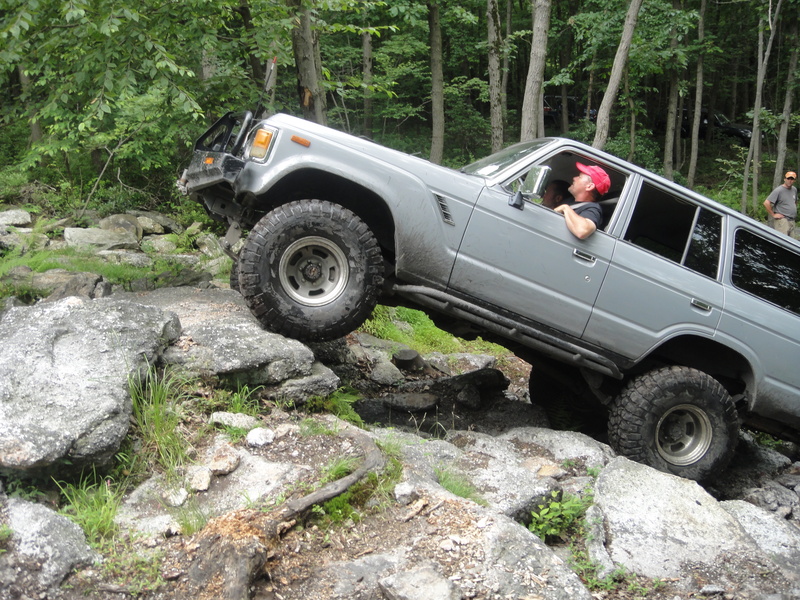 What a great day of wheeling (but not for me); however, it is a lot of fun to be able to get out of the vehicle and enjoy a different perspective. We all should do it now and then (hopefully, for fun). So sorry to hear that your vehicle is broken. At least you go to enjoy the ride..